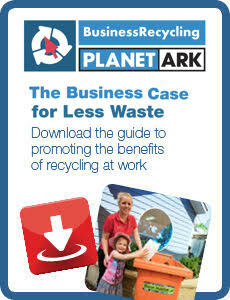 This resource will help employees at any level in an organisation, including those with sustainability responsibilities, to make the business case for less waste. It explains how improved waste management can reduce unnecessary costs, boost staff morale, provide a competitive (or efficiency) edge and improve environmental outcomes. Together these benefits make a workplace more sustainable. "As a community owned not-for-profit, we’d much rather use money for children’s education resources than to take rubbish away." Unless otherwise indicated quoted statistic are from NSW Environment Protection Authority (EPA) research - see References*.